What is the first thing you do when you get your holiday calendar at the beginning of the year? Look for the long weekends which give you an opportunity to plan a quick trip without taking too many days off at work. Exactly the reason why we thought 2nd October weekend would be an ideal bet to explore the city of Amritsar. The real time on road would be much longer than the indicated time above keeping into account the traffic, number of breaks etc. 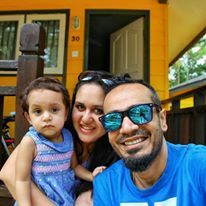 Planning a road trip would have meant that we spend considerable time driving and maybe add another day to the trip if we decide to make a pit stop. Hence we chose the option of taking the train instead. While there are couple of trains plying between the two points, the most convenient is New Delhi Amritsar Swarna Shatabdi (12029) which departs from New Delhi Railway Station (Platform No.1) at 7:20 a.m. and reaches Amritsar at 1:40 p.m. the same day. The tickets cost approx. INR 785 / person inclusive of service charge. Personally we found the seating chair arrangement for a 6 hour journey early morning not that comfortable. 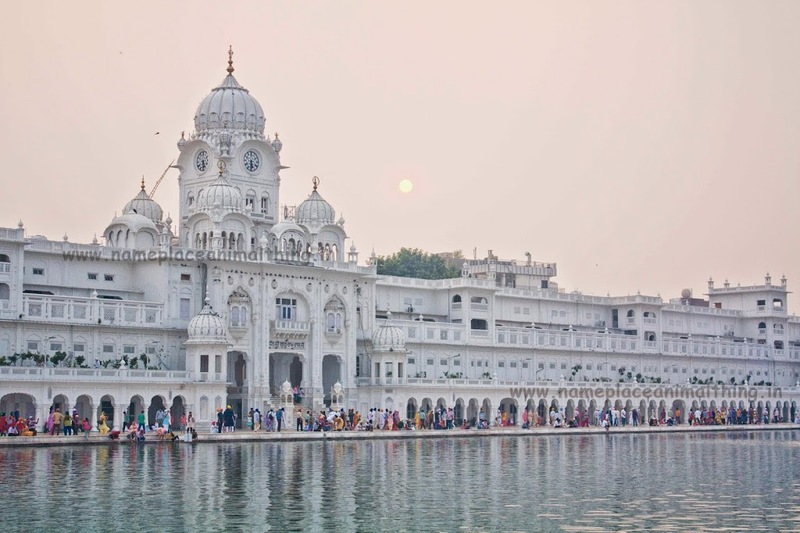 Considering that you would be waking up much earlier to make it to the station on time, you would want to catch up on your sleep during the journey to start afresh after reaching Amritsar around lunch time. But the train no doubt offers good service and the staff is courteous. Morning team along with bottled water and breakfast are complimentary. 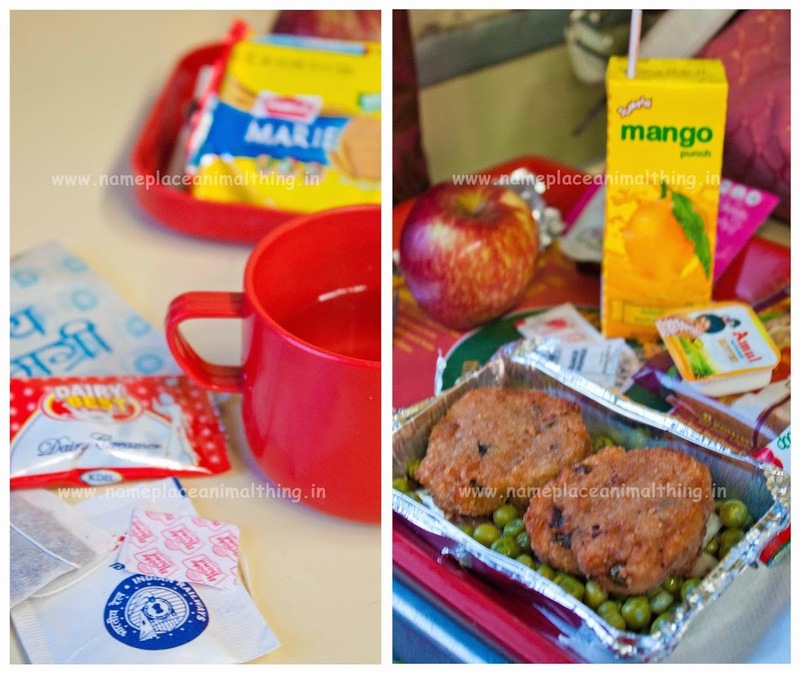 You will have the choice to select from veg and non-veg options. We decided to pick a hotel on Queen’s Road which was 5 minutes from the station and also made most of destinations on our list accessible. Most of the places we wanted to visit were within the radius of max 5kms. We checked into the hotel, dumped our luggage, took a shower and headed out for lunch. Hailing a tuk tuk for a ride is quite convenient and since the distance of most destinations was within the 5 km radius, we ended up shelling INR 100 for most of our rides. We had been saving our appetite for a wholesome lunch and decided to head straight to Makhan Fish and Chicken Corner on Majitha Road. Renowned for its Amritsari Fish and Keema Nan, the restaurant has an air conditioned seating area on the first level we treated our taste buds to exactly what Makhan is famous for. Less than 200 mtrs ahead is another restaurant Beera Chicken Corner which at one point was considered as the hot spot but recently has been losing out on its fan following. 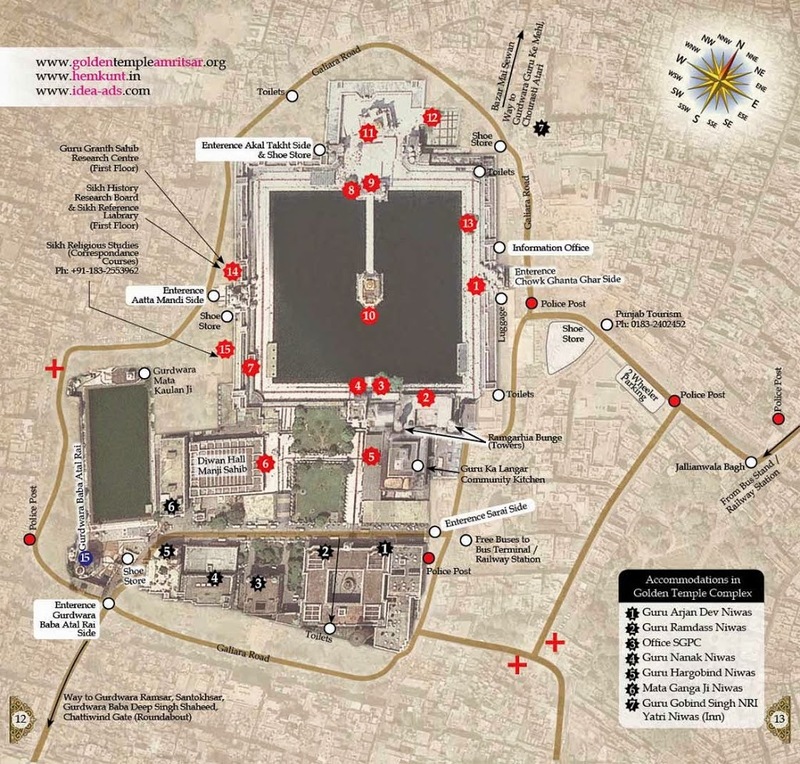 We also learnt that within a certain radius of Golden Temple, you will not find any outlet which serves non vegetarian food. Respecting this religious sentiment, even McDonald’sopened its first ever only vegetarian restaurant next to Golden Temple. 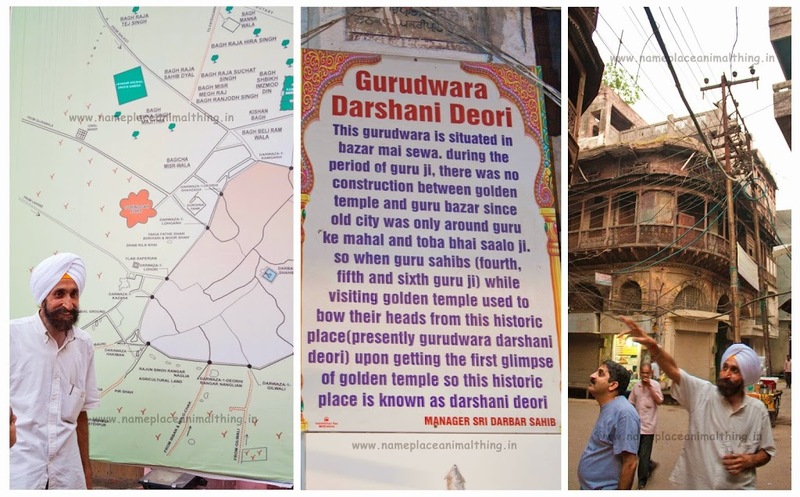 While listing down the things to do in Amritsar, we learnt about a Amritsar Heritage Walk supported by Punjab Heritage and Tourism Promotion Board. We couldn’t think of a better way to discover the holy city than learning about its rich heritage. The walk is organised once daily (From March to November) and twice a day (December to February) for 6 days a week except on Saturday. Since we were in the city only for Friday and Saturday, we decided to schedule this on Friday. We had called up the tour guide, Mr. Davinder Singh a day prior to book our slot. The walks are organised free of cost and it is upto your individual consideration on the amount you would like to offer him towards the end based on your experience. 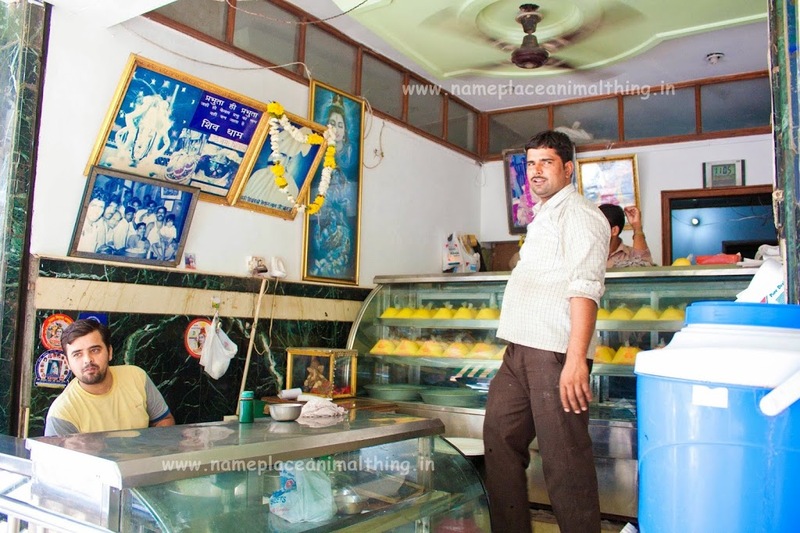 The Heritage Walk begins from Town Hall and the meeting point is Bade Bhai ka Brother’s Dhaba. This restaurant is also known for its Vegetarian Punjabi Thali. I must admit that Mr. Davinder is quite a humble gentleman and is quite passionate about this initiative. The entire route is approx. 1.5 – 2 kms and takes anywhere between 1.5 to 2.5 hours depending on how much time you would like to spend at every stage. The entire trail covers 11 key spots while there are additional 3 spots which are optional. Our walk that day comprised only of two groups including us with a total of 6 people. We began our walk from Gurudwara Santokhsar at 5:00 p.m. where we spent considerable time getting a download on the history of Amritsar and also the inception of Sikhism. Walking through narrow lanes, the tour gives transcends you back into the era when every intricate carving and design meant something significant. Since each one of us in the group had done our part of reading about the history before walking in, we had enough set of curious questions and this made the entire experience more interactive. For anyone who would like to go beyond the tourist spots and eating joints, absolutely must sign up for this Heritage Walk. We ended the walk at Golden Temple at around 7:30 p.m. over a cup of tea at a local stall. December to February – Morning 9:00 a.m., Evening 4:00 p.m.
You can reach out to Mr. Davinderat 9988503458 or email him at davinderguide.phtpb@hotmail.com. 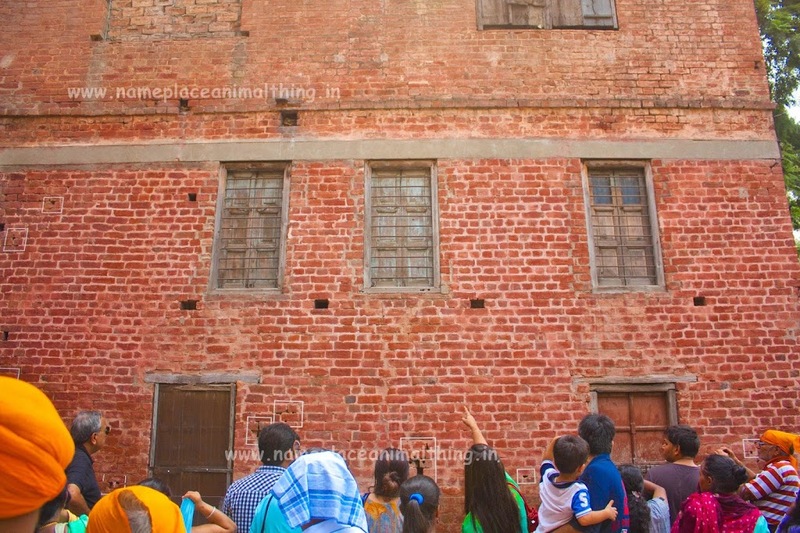 You can also visit their website www.heritagewalk.webs.com for more details. Now that the sun had set, the temperature had come down and we were looking forward to our first visit together to Golden Temple. We entered the temple from Chourasti Atari and found this less crowded compared to Chowk Ghanta Ghar Side. There is a shoe storeright at the entrance which is manned by volunteers. You are given a token against the footwear you deposit. There are saffron coloured scarves kept alongside as one needs to cover their head as a sign of respect while entering the holy temple premise. You can pick one (not chargeable) if you are not carrying a handkerchief and return it on your way back. There is a washroom and hand washing station next to the shoe store as well. On entering, we could see Sri Akal Takht Sahib in front and there was a long queue on our left leading to Sri Harimandir Sahib. Photography is permitted inside the premise but not inside the temple. Keep an eye on the instructions at appropriate points. It took us more than an hour in the queue before we could pay our tribute to Sri Guru Granth Sahib. There are rugs laid outside the main premise and you can sit there for some time while the prayers are ongoing. The beauty of the holy temple and the soothing Gurgbani Kirtan playing in the backdrop is very soothing and makes the entire experience very divine. We spent some time sitting on the white marble surface surrounding the sarovar (pond). 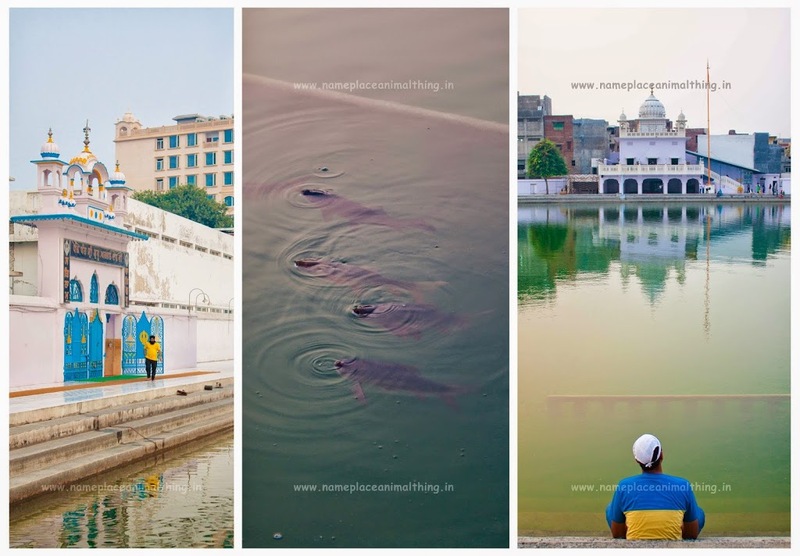 The reflection of Sri Haramnid Sahib in the pond was serene and batches of dark scaled fishes often surfaced up to gasp some fresh air. By the time we stepped out from Golden Temple Road, most of the local Dhabas had shut down. 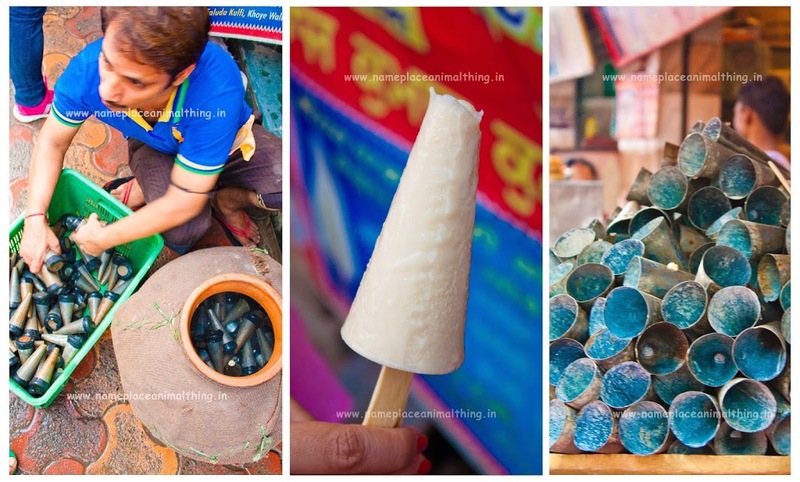 But we were lucky enough to relish some Kulfi at a local stall just before Jalianwalla Bagh. Since even the a 2.5 hour heritage walk could not help us in digesting the loaded lunch at Makhan, we decided to grab a snack and head back to the hotel for calling it day. 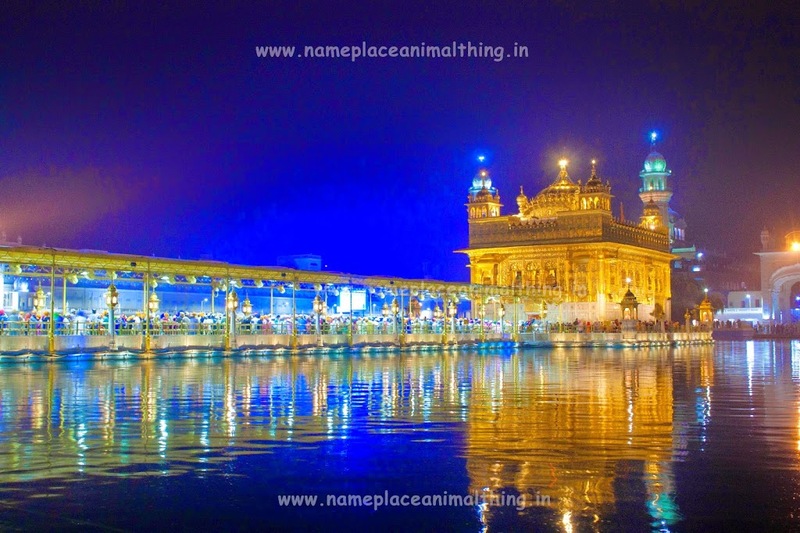 The next morning, we decided to visit Golden Temple again as we wanted to witness the beauty during the day time as well. 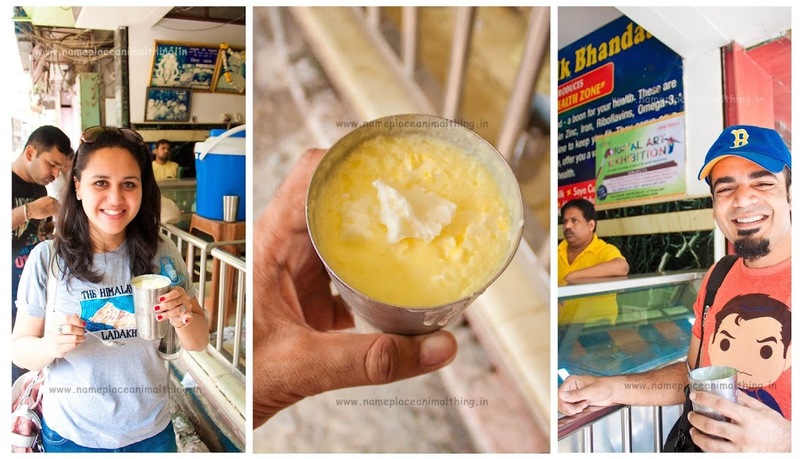 But prior to that, we decided to take a detour and relish some Kesar Lassi for breakfast at Ahuja Milk Bhandar, Dhab Khaitan, Near Hindu Mahasabha College. The joint was not very crowded and the empty stomach loved every bit of the thick lassi till the glass was completely empty. But I could do this successfully only after removing the layer of butter on the top. For someone who can finish the creamy lassi in Sakora (Jumbo Clay Cup) back in Jaipur, this was a cake walk … burrp! By the time we reached Golden Temple Road, we were appalled by the rush on the road and it looked nothing less than a kumbh mela. With the temperatures soaring high, no place to walk, honking vehicles and impatient people the entire experience turned into a nightmare more than a vacation. Probably this was a flipside of visiting a destination like Amritsar over a long weekend. Some of the locals we spoke shared the same sentiments. 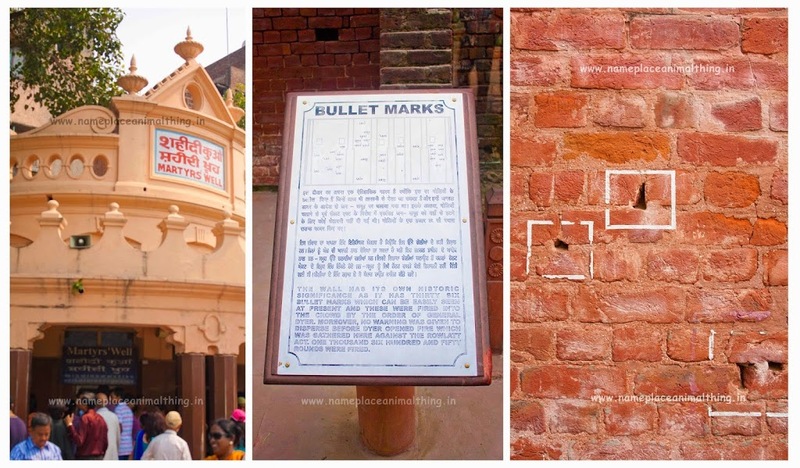 Jallianwala Bagh is just 400 meters before Golden Temple and we decided to explore it before proceeding ahead. This memorial commemorates hundreds of unarmed and defenceless Indians who were on the receiving end of the open fire ordered by General O’Dyerwithout prior warning on April 13, 1919. The day which otherwise is celebrated as Baisakhi, one of Punjab’s biggest religious festivals. While some of them were shot dead, others rushed and jumped into the only well in the premise which is now marked as Martyr’s well. The bullet marks on one end of the park wall are still visible and have been preserved. The park was extremely crowded and apparently was restored in a way that it completely took away the raw which existed look some years back and gave you a more realistic picture of how it would have been when the incident took place. Looking at the crowd we decided to skip our plans to visit the temple in the maddening rush. We ended up meeting one of our friends who had made an attempt to visit Wagah Border the previous evening. To our surprise, despite the fact that they had left early to ensure a good spot for a perfect view of the ceremony, they had to take a u-turn after witnessing the massive turnout. The lowering of flags ceremony, also known as The Beating Retreat, is a military practice followed by India’s Border Security Force and Pakistan Rangers since 1959. The true worth of this ceremony can only be relished if you have a seat at the right spot where the ceremony is clearly visible and not towards the far end. 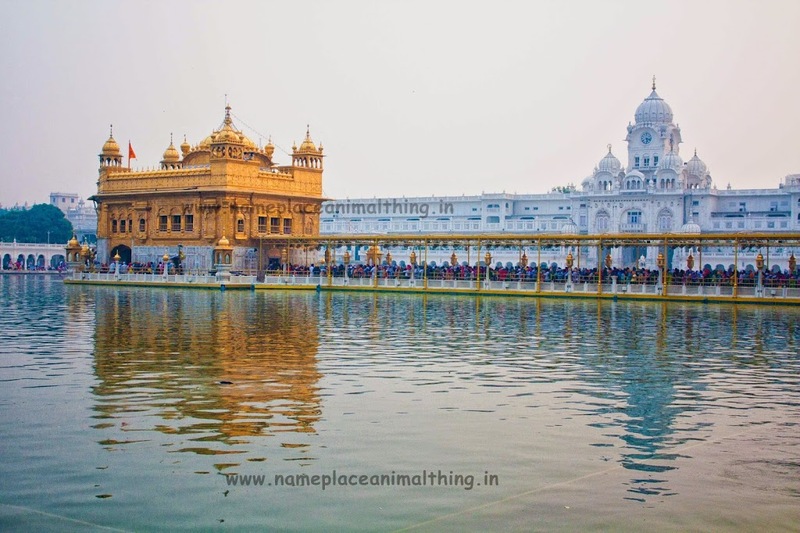 Keeping all of it into account, we recalibrated our plans and preferred spending the evening at Golden Temple and explore places around instead of rushing to Wagah. The journey to Wagah is approx. an hour long and costs anywhere between INR 800 – 1000 in tuk tuk. But you would rather book yourself a more comfortable cab keeping into account the harsh heat and distance to be covered. You will find a lot of cab drivers on Golden Temple Road trying to get passengers for the ride, but if you are hiring a cab it is advisable to do so from a trusted source. 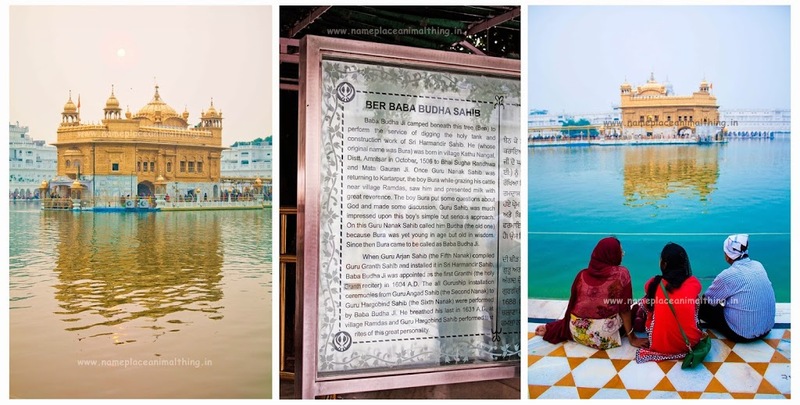 You can leave for the destination at around 1:00 p.m. – 1:30 p.m. and can be back in the city around 7:30 p.m.
We decided to have the famous Chola Kulcha for lunch at Kulwant Singh Kulche Wale, a local dhabba outside Golden Temple. This place was completely packed it took us almost 40 mins to get our order of sumptuous Paneer Kulcha’s with cholley. While none of these local joints will look very appealing and organised, you can be assured that the food they serve will completely knock you down. In the evening, we headed back to Golden Temple at around 5 p.m. and this time to explore the entire Temple premise in daylight. Before stepping into the premise, we gave our taste buds another round of Kulfi outside the premise on Golden Temple Road. The light was also perfect for capturing the holy temple on camera. Visiting Golden Temple and not visiting the Guru ka Langar was not something we intended to do. The tradition of serving langar was initiated by Guru Nanak Dev Ji and later established by the 3rd Guru Sri Guru Amar Dass Ji. The kitchen on an average feeds 75,000 devotees daily irrespective of the cast or creed and this number doubles on special occasions. Each week individuals and families volunteer to prepare and provide langar. Right from cooking to washing is done by volunteers termed as Sewadars. 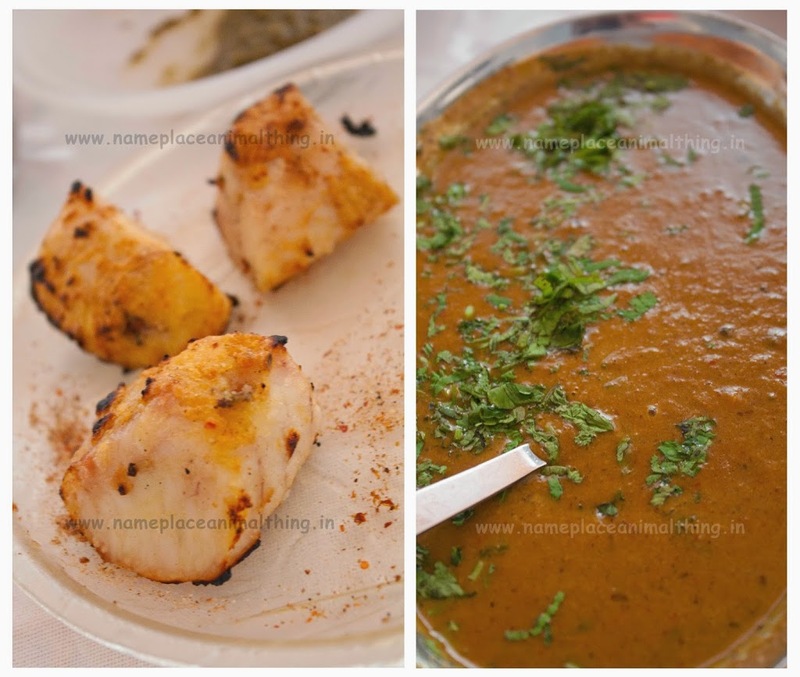 The meal is very simple and during our turn comprised of Dal, Roti and Kheer. I found the drinking water machine quite interesting. All one had to was roll is along the queue and place the nozzle above the water bowl. It was overwhelming to see the scale of operations and also the generosity of volunteers to keep this running 24×7. Before heading out for dinner, we decided to go back to one of the points from the heritage walks the previous evening. 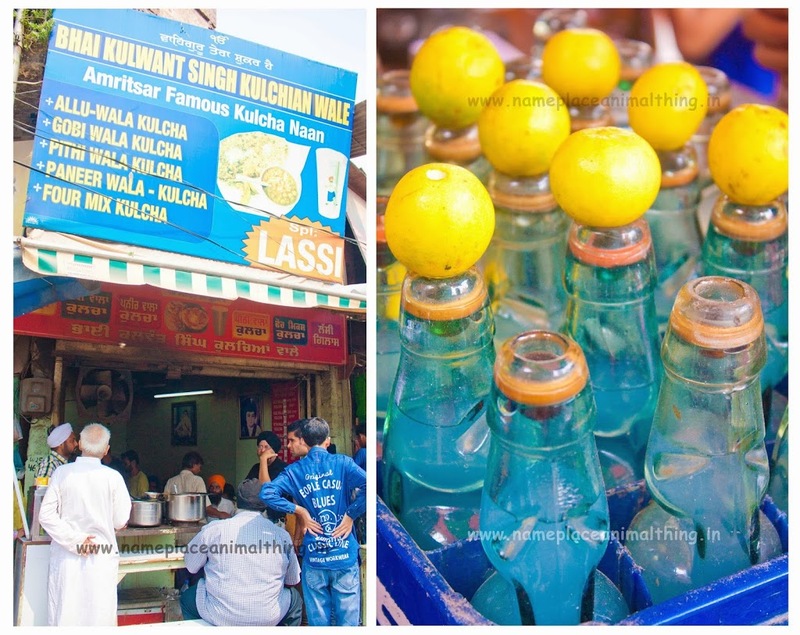 Jalebiwala Chowk is where we saw people in large numbers queuing outside the local shop Gurdas Ram Jalebi Wale. 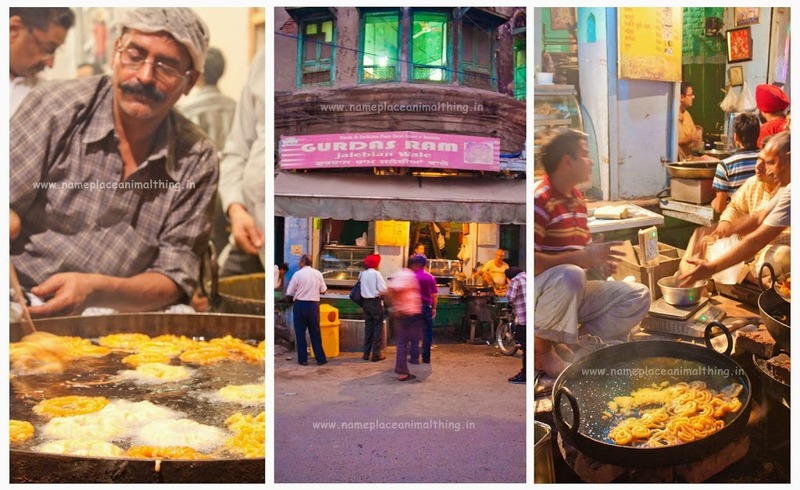 This time we were lucky to skip the rush to enjoy the crispy and sweet jalebis in this part of the old city. Ending our tryst with Amritsar, we headed to Beera Chicken Corner for our dinner. Honestly the ambience of this place was not that great at all. However, we saw that they were building up a better facility on first level. 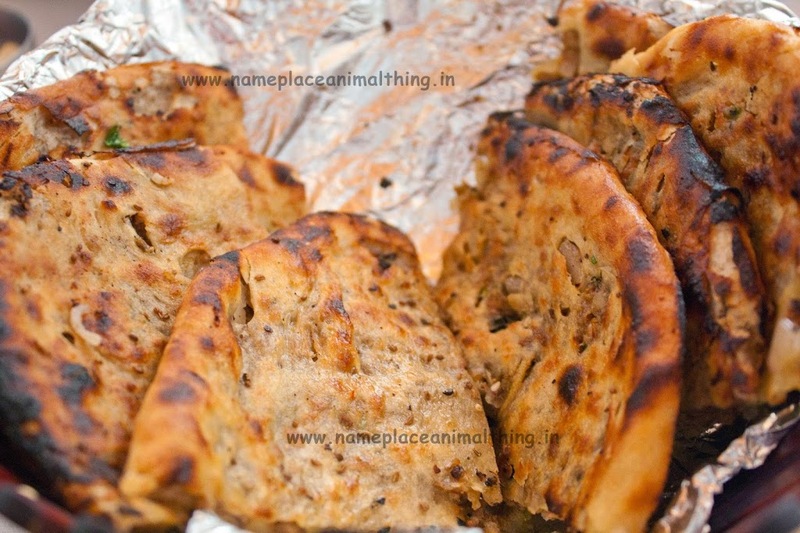 However the Amritsari Fish here was good, but the stuffed naan was nowhere close to what we had at Makhan. We had planned our return journey by Amritsar Kochuveli Superfast Express (12484). It departs from platform no. 2 at 5:55 a.m. and reaches New Delhi Railway Station on platform no.3 at 1:20 p.m. We paid INR 755 / person for 3rd A/C coach and this time around were able to comfortable cover up for our sleep through the journey. Ensure you follow the dress code – avoid Bermudas, Short Skirts/Short Pants. In short, keep yourself covered from shoulders to knees and also cover your head with a scarf or handkerchief. We had left from Delhi on Friday morning and returned by Sunday noon – in short a 54 hour trip. In our next post we will list down the places to eat which you can explore across the city. Keeping the amount of time we had, we still have a few places unchecked on our list. There are additional places which can be covered during a weekend trip which we shall include in the post as well. Those were some lovely pictures and great details you provided. Thanks for sharing! It’s been long I went to Amritsar. Heritage Walk seems such a good idea. The great food and the narrow lanes reminded me of the older times there. Harmandir Sahib was just awesome, the place gives you so much calmness inside. 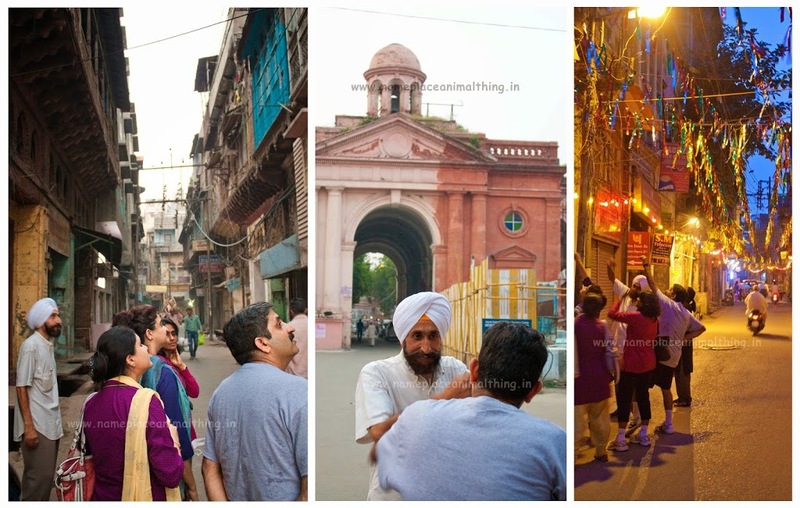 I’ve been to Amritsar only once but I would love to go again to experience the heritage walk. It sounds like a worthy experience. Thank you for the detailed travelogue. 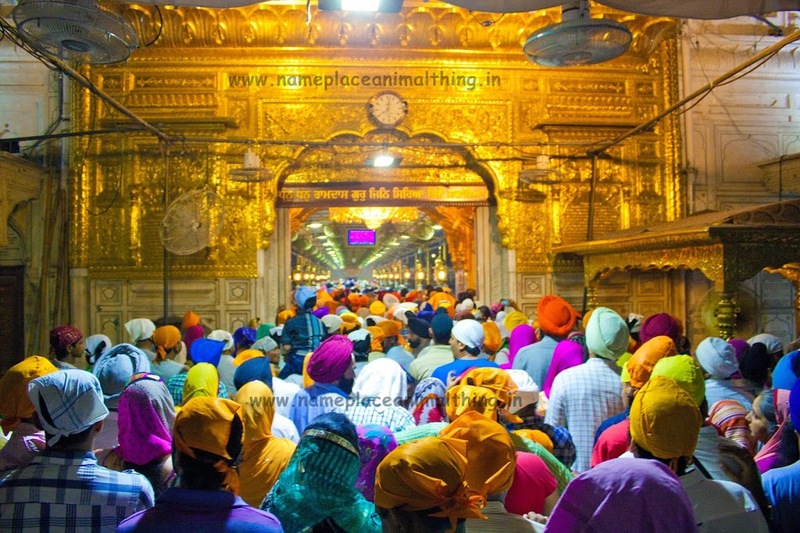 Visiting the Golden Temple is definitely on our travel to-do list. Your elaborate post will surely come in handy when we plan. Thanks and good luck to you Karuna! 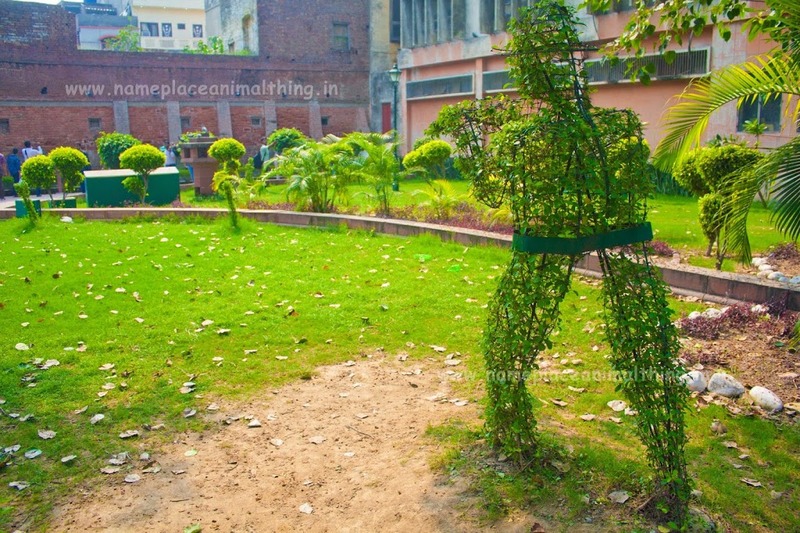 Vaishali its my birth city and extra special. Hope you get to go soon! So happy to hear your feedback Saumy! Hope ur plan to go happens soon!